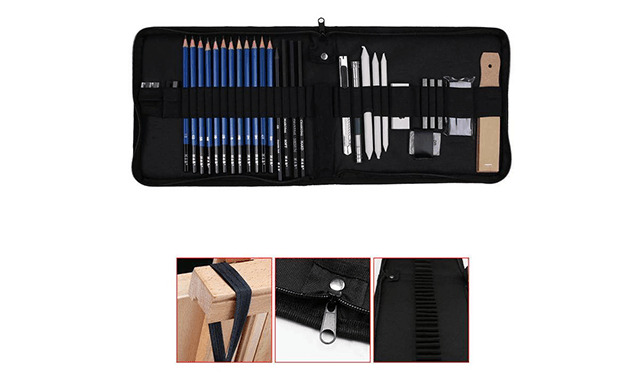 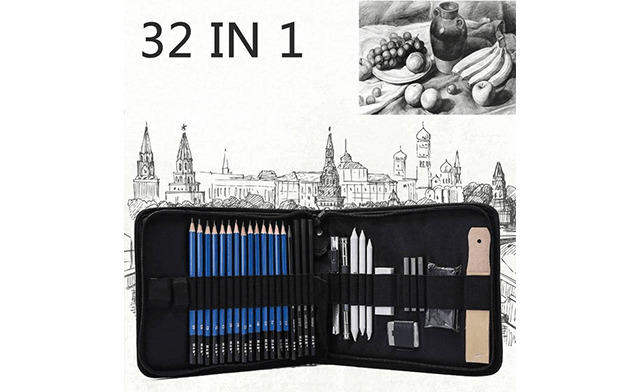 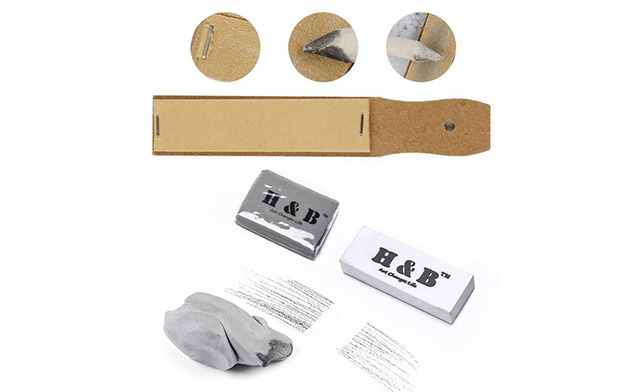 Receive a 32-piece sketching kit. 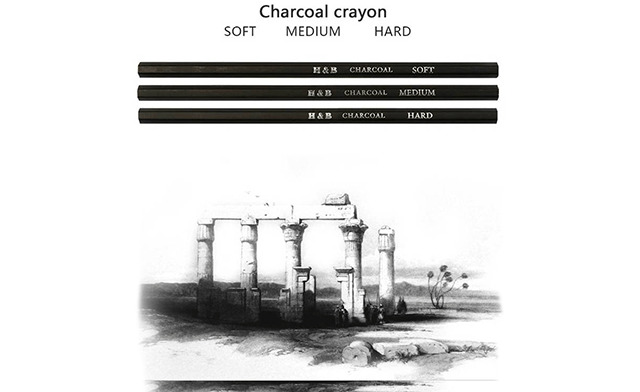 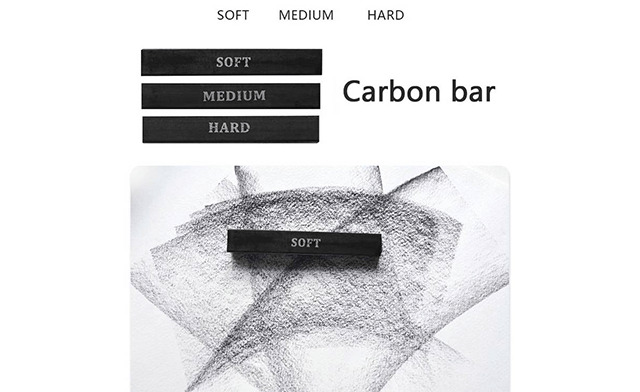 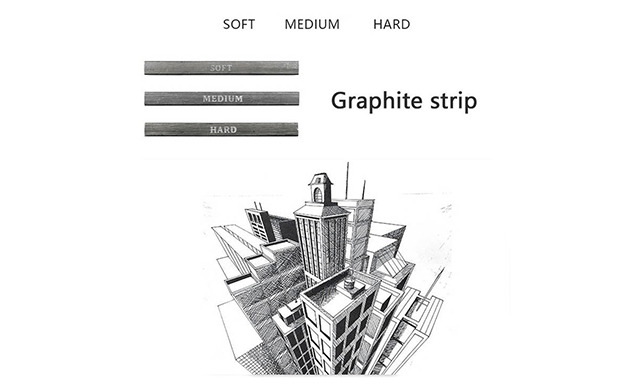 Charcoal sticks and pencils include soft, medium and hard grades. 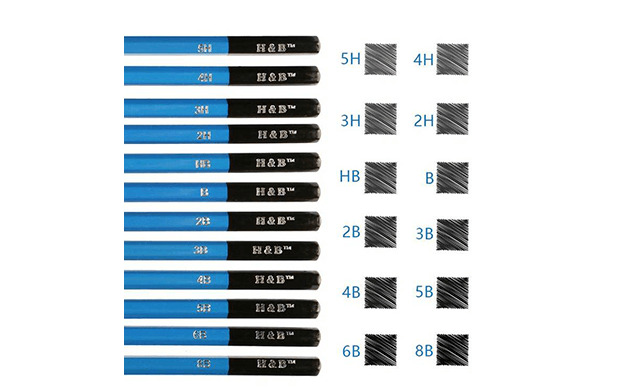 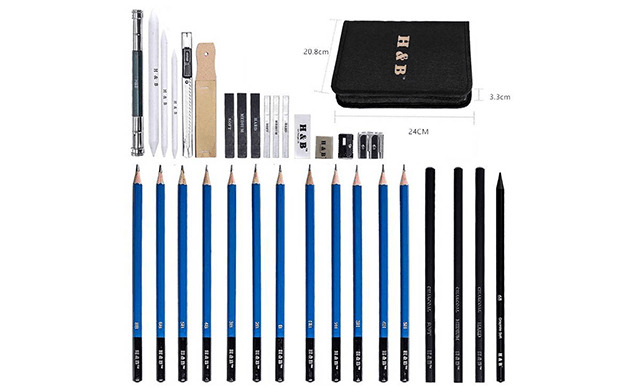 Wide range of sketching pencils: 8B, 6B, 5B, 4B, 3B, 2B, B, HB, 2H, 3H, 4H, and 5H.